Concrete Paving slabs - Tile Tech Inc.
They’re just everywhere; on sidewalks, around commercial establishments and along residential pathways. Concrete Paving slabs continue to add a touch of elegance and spice to mundane spaces. They come in a variety of colours, sizes and shapes to recreate any mood you want to achieve. Among the commonly used materials for paving slabs, concrete, natural stone and clay are the most popular. Each has its own set of properties and applications. Clay and natural stone slabs are typically laid individually and are most suitable for small areas. Concrete slabs on the other hand are laid as single units that can cover large areas. Another material used as concrete paving slab is acrylic. Acrylic slabs are also laid as single units but are more delicate than concrete slabs. Its application is limited to small areas where lighter loads are supported. Clay and natural stones are commonly used as stepping stones in gardens, patios, and pools. 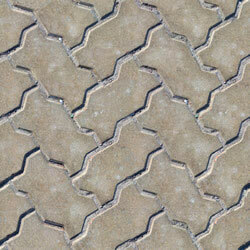 Concrete paving slabs are more commonly used as pedestals and as sidewalk paving. Tile Tech Pavers, a leading company in providing paving solutions, offer the high density, high durability product, HydraPressed paving slabs. Its surface is comparable to natural stone and has a compressive strength that can withstand 8000 PSI. Just to give you an idea, this force is equivalent to the weight of 580 container vans, weighing 1 ton each, exerted on a 1 foot x 1 foot pizza pie! Now that is durable and strong. Concrete Paving slabs are the preferred landscaping materials by homeowners, designers and architects because of several reasons. The first reason is the inherent versatility of these materials. Moulds and colours are various, making these materials adaptive to several preferences and purposes. Customers can unleash their creativity in choosing styles and patterns to apply in their design. The second reason is the sturdiness of paving slabs. Outdoor conditions vary and these slabs do not easily breakdown particularly in severe weather conditions. The last reason is the ease of installing these slabs. Minimal land preparation is required saving lots of time for other activities. Concrete Paving slabs are proven tools to enhance the overall appeal of any place. They create a sense of order and provide structure to worn-out paths and open spaces. Some of these materials can be customized to replicate natural stone textures and colours such as concrete slabs. In any application, paving slabs won’t fail evoke a sense of sophistication and style. HydraPressed Concrete Paving slabs are made from a concrete mix, using a 700 ton hydraulic press at intense pressures exceeding 2250 PSI. This process creates a product of high density and durability together with a surface comparable to that of natural stone. The compressive strength of the slabs if 8000 PSI. As the HydraPressed slab is made in a steel mold under exacting factory conditions, the product is true, square, and has clean chamfered edges to give a neat appearance, and to facilitate installation. HydraPressed Concrete Paving slabs are used for pedestrian traffic and are installed on sand, mortar, or pedestals, for patios, plaza decks, roof tops, or any other type of pedestrian walking surface. Pedestal systems are designed for use over pitched surfaces. These systems ensure precise HydraPressed slab alignment and even spacing to allow for drainage and air circulation which are critical to the health of any deck installed over a waterproof membrane. This type of segmental system allows for ease of access for repairs or annual maintenance to the subsurface without damage to the Concrete Paving slabs. For Plaza or roof top applications caution should be exercised with respect to the weight of the product as well as the wind velocities in the areas of use.